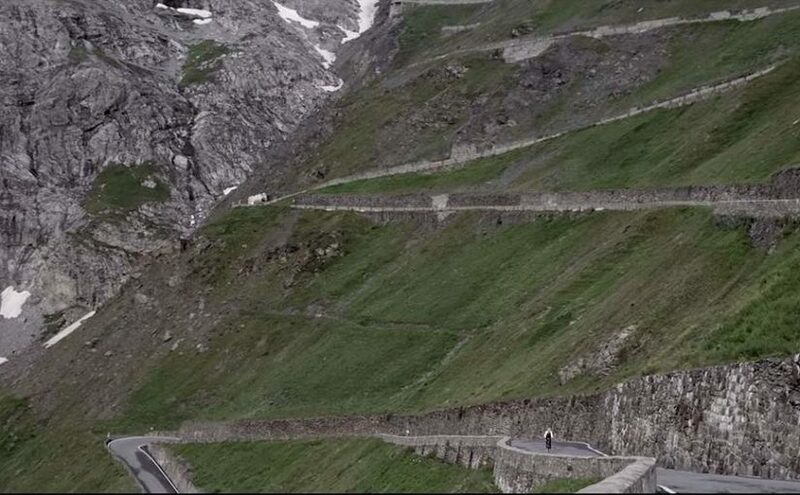 This is absolutely epic: British cyclist Mike Cotty rode 1,012 kilometers, including 21,250 meter climb with 21 mountain passes, sleepless! During his epic journey, Cotty spent 50 hours 29 minutes in the saddle, with total elapsed time of 53 hours 29 minutes. Exploration is as much about overcoming the unknown challenges of the road ahead as it is about learning of one’s own physical and mental capabilities. On August 4th 2014 Mike Cotty faced the longest and hardest ride of his life, a personal challenge to see if it’s possible to cycle over 1,000km and 21 mountains non-stop across the Dolomites, Eastern Alps and Swiss Alps from Conegliano, Italy, to Chamonix-Mont-Blanc, France. Thunderstorms during the darkest depths of the night, a bitter cold dawn on the Passo dello Stelvio, punishing headwinds and the will to overcome adversity and sleep deprivation from over 50 hours on the bike and 21,250 metres of elevation make this journey an inspiring test of human reserve.